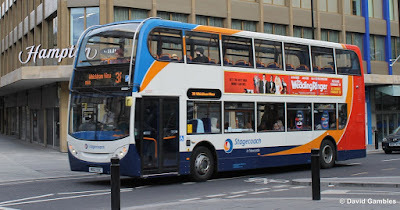 According to an authoritative annual survey of corporate reputation Stagecoach Group has been rated the most admired public transport company. The transport group was rated 48th out of nearly 250 businesses across 25 sectors in the Britain’s Most Admired Companies (BMAC) 2015 Awards. 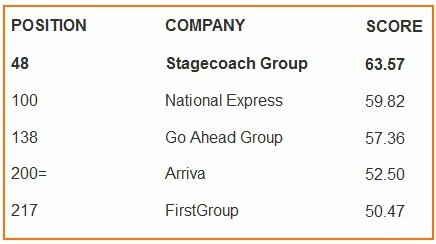 Stagecoach has consistently been rated well ahead of its bus and rail group peers in Management Today’s annual review of Britain’s top companies, which celebrated its 25th anniversary this year. In the 2015 survey, Stagecoach was also placed ahead of Transport for London and well-known businesses such as Marks and Spencer, Vodafone, BT Group, and the AA. Management Today asked Britain’s largest public companies to rate their peers using nine measures on a scale of zero to 10, with the results compiled by Professor Michael Brown and his team at Leeds Business School. Criteria include quality of management; financial soundness; quality of goods and services; ability to attract, develop and retain top talent; value as a long-term investment; capacity to innovate; quality of marketing; community and environmental responsibility; and use of corporate assets. 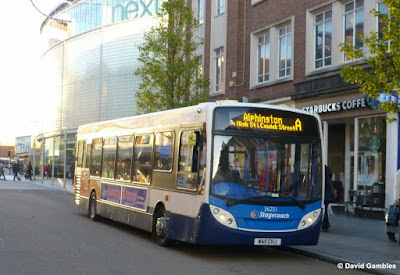 Stagecoach was rated ahead of other public transport groups overall, as well as on eight out of the nine individual criteria. Steven Stewart, Stagecoach Group’s Director of Communications, said: "These awards are judged by our immediate competitors, who know the challenges and opportunities of our sector. We are proud to have once again been rated Britain’s most admired public transport operator and recognised for the contribution our company and our employees make to the economy and local communities. “The most important endorsement comes from the millions of customers who use our bus and rail services every day. For several years, we have been independently rated the best value bus operator in Britain, and consistently achieve some of the highest levels of customer satisfaction in the rail industry. The Britain’s Most Admired Company Award 2015 went to consumer goods company Unilever, with a score of 75.00. against the 63.57 achieved by Stagecoach.